Former Florida Gov. Jeb Bush is running for the presidency in 2016, the former communications director for George W. Bush told an entertainment news show called ‘The Insider’. 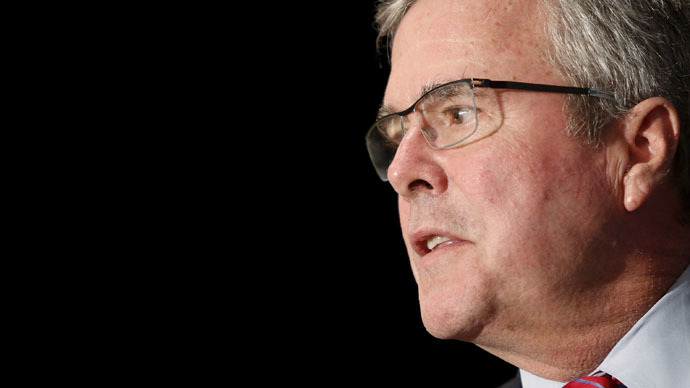 However, Jeb Bush’s office maintained that no decision has yet been made. Nicole Wallace, who served as the White House Communications Director under George W. Bush, made the comments while speaking with The Insider’s Debbie Matenopoulos. The current co-host of “The View” praised Jeb Bush and said he would seek the 2016 Republican nomination. She went on to say that she hopes Bush goes on to win the presidency. While many have assumed that Bush will run for president, he has not officially jumped into the fray. He announced in December that he is “actively exploring” a presidential run. Following Wallace’s comments, Bush’s office told The Insider that “he has not made a decision” yet. If Bush decides to officially run, he will join several others who’ve already tossed their hats into the ring. Tea Party favorite Ted Cruz, a senator from Texas, has already declared, as have Sens. Marco Rubio (also from Florida) and Rand Paul (Ky.). Bush is seen as a moderate Republican who will likely face opposition from more conservative elements of the party. His positions on illegal immigration, among other issues, have helped him make inroads with the party’s establishment wing. He has offered support for allowing some undocumented immigrants to remain in the US. During his term as Florida’s governor, he increased state government spending in Florida, a position that put him at odds with the Tea Party Movement that has taken root in the GOP. He also supports the federal Common Core education standards put in place by the Obama administration. Politically, he also disagrees with his Catholic faith, especially with regards to the use of capital punishment. During his tenure as governor, Florida executed 21 prisoners, the most in the state since the death penalty was reinstated in 1976.